Home / Energy Boosters / CTD Labs Adrenal Reset 60ct. Buy 2 or more bottles for only 14.99 each with Free Shipping!! Buy 2 or more bottles for only 14.99 each with Free shipping on CTD Labs Adrenal Reset! Adrenal fatigue can affect anyone who experiences frequent mental, emotional or physical stress. Taking stimulants for long periods of time mamy also desensitize your adrenal system. This severely reduces the effectiveness of stimulants on your body. Adrenal Reset is designed to resensitize your adrenal system to stimulants. The ingredients in Adrenal Reset may also support adrenal function and alleviate fatigue caused by overstimulation of our adrenal system. 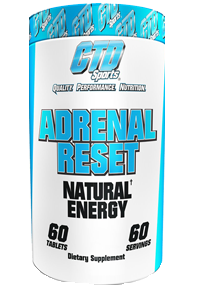 Adrenal Reset works best when used with Multi-Elite by CTD Labs. 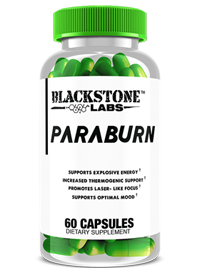 Blackstone Labs Paraburn 60ct, BOGO Available! !